Its not often a sports cruiser comes along with the level of comfort and refinement like this Aerosport. The boat has has a total refurbishment in 2015 bedding covers upholstery motors and the list goes on with way to much to mention. 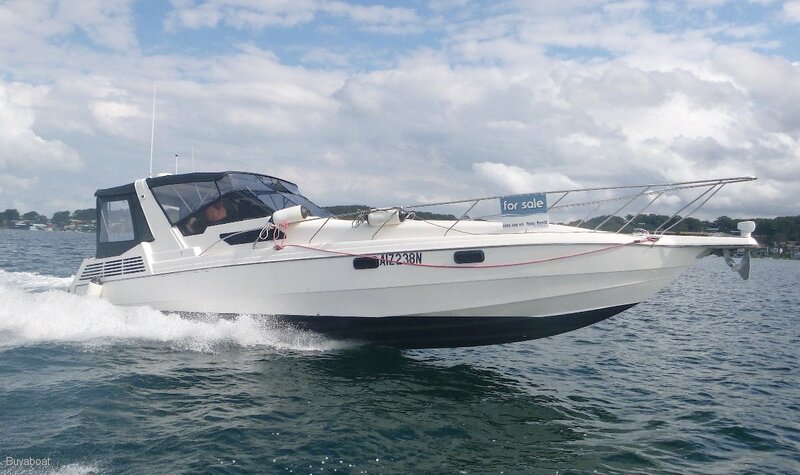 As a live on board this boat offers a level of comfort you wouldn't even expect at home but best of all it's fully automatic. This boat is smart enough to provide efficient power management so you never need to go home or worry about power again with an array of smart charges, solar, generator and shore power. All the work has been done so you can enjoy the multiple TV's or super sound system with subs and amps. With Gel batteries you can go for days and days with out even starting the generator and live indefinitely without shore power. It's truely a beautiful boat with its sporty styling and great lines and plenty of power with its twin 300hp motors and dup prop drives. There is no compromise for power and this is the total package of performance and 360 luxury. Its current owner has really looked after this boat and it shows. All mattresses are quality and sleeping ares have skylight/hatchs with screens and curtains. I have to say the silk sheets were a very nice touch. This is a boat that can keep everyone happy regardless of what they want to get up to on the water. Use your ipad play some tunes, watch TV or just lay in bed and read a book or even go outside and swim and fish. The head is very private with a teak floor vanity and a shower and exhaust fan and hot and cold water. The cockpit is roomy with plenty of seating area and even has a sink with hot and cold water and a fridge. A great helm with plenty of gauges and buttons to push and a good ergonomic design puts you in control with great visibility. Twin Volvo Penta 5.7L 300hp Duo Prop with new risers & new manifolds. Both motors and legs were rebuilt in 2015 and only have 60 hours on them. Props are also new in 2015 have been coated in Prop Speed keeping them clean and efficient. Dup props are counter rotating giving excellent performance and 25% better fuel economy. New galley kitchenette, smoked glass doors & slide out rack type shelving system. New 12v 72L fridge with a large SS sink with hot and cold water with a mixer tap 240v mini oven and a dual burner cooktop and grill and a glass range hood complete this lovely galley. Having 240v power is so handy we might even chuck in a coffee machine. V berth, double bed and two singles in saloon. 2 one part of head with hot and cold water and one in cockpit. Electric macerator, with hand basin and cupboard space. 6 Life jackets, 4 fire extinguishers, flares, torch.